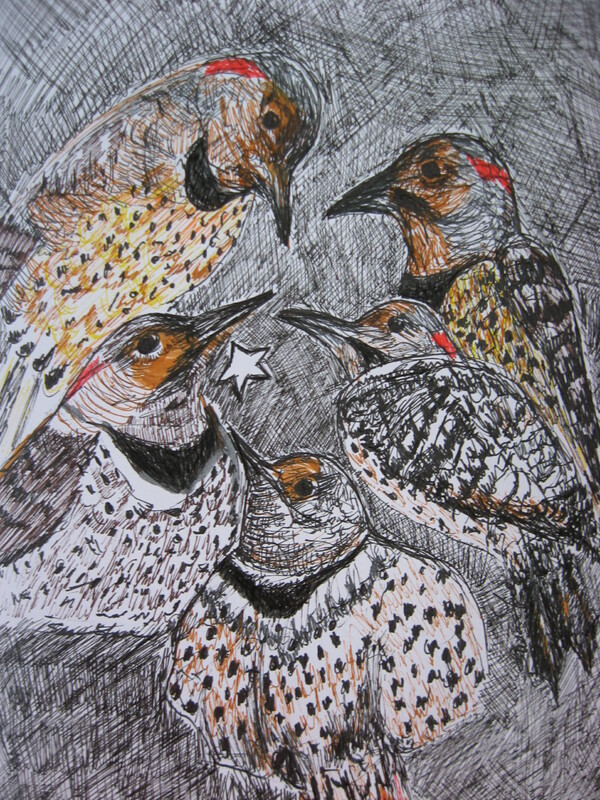 Star is the theme of the week, Illustration Friday, I’ve been a little slow at getting it up and out but here they are my Northern Flickers, five pointing beaks with a five pointed star. Though they aren’t night birds their formal black velvet like necklace and their splash of red on the back of their neck along with the striking beaks made me think of the evening STAR. This entry was posted in Susan Fae Art and tagged art, Bird art, Caglary artist, Calgary, collage, Susan Fae. Bookmark the permalink.